Working with individuals, small companies and large corporations, I have been delivering a wide range of successful programmes and conducting coaching for over 20 years. I offer a wide range of coaching services. My style will range from being quite directive to non-directive depending on both the objectives of the sponsor and coachee and the personality of the individual. Meeting your specific training needs, I offer a wide range of courses for communication skills, management development and personal development. 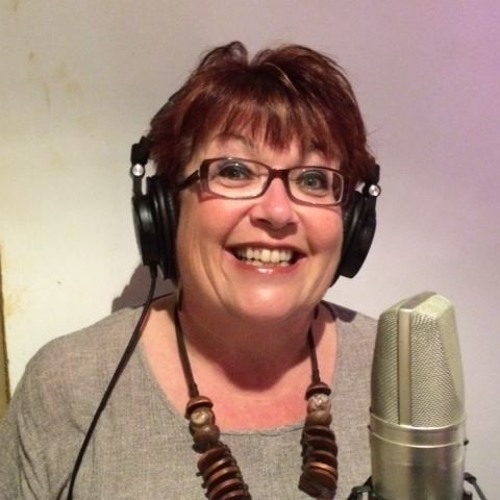 "Sara is a very enthusiastic and practical trainer and an insightful coach. We have been able to measure tangible benefits of the programmes in terms of increased production and quality. I would have no hesitation in recommending Sara." 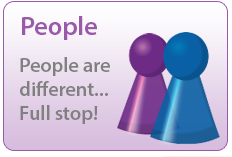 Philosophy on People:People are different, full stop! If we make assumptions about people's personality and behaviour based on profession, job role, seniority etc. we will almost certainly be proved wrong. A group of accountants is likely to display as wide a range of behaviour and personality traits as a team of shop floor production workers or a board of directors. 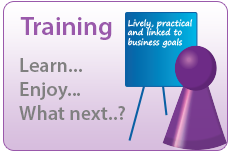 Philosophy on Training:I want delegates to enjoy any course that they attend and to learn something. However, if that is all that happens, the training has been a waste of time and money! The success of any training is what the delegates do differently after the event. 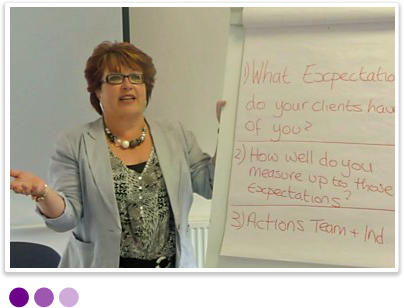 All my events are lively, practical and linked to business goals. Participants always leave with an action plan. Philosophy on Coaching:Since I passionately believe that individuals are different, it's hard to sum up my philosophy on coaching. Suffice to say that it's all about the coachee, agreeing goals with them and working in a style that suits them. 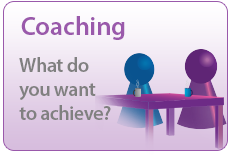 Coaching is an opportunity for individuals to explore and challenge themselves and their perceptions, to recognise their own strengths and weaknesses and implement plans and behavioural changes to reach their full potential. I will often use a psychometric instrument or the results of a 360º feedback tool to facilitate the coaching. 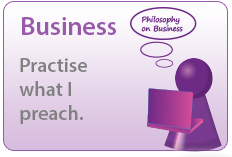 Philosophy on Business:Practising what I preach is essential to the way I do business. All clients will be different with different needs and company cultures. After exploring these, I will propose an appropriate intervention that may be training, coaching or a mixture of both.